OMAHA, Neb. 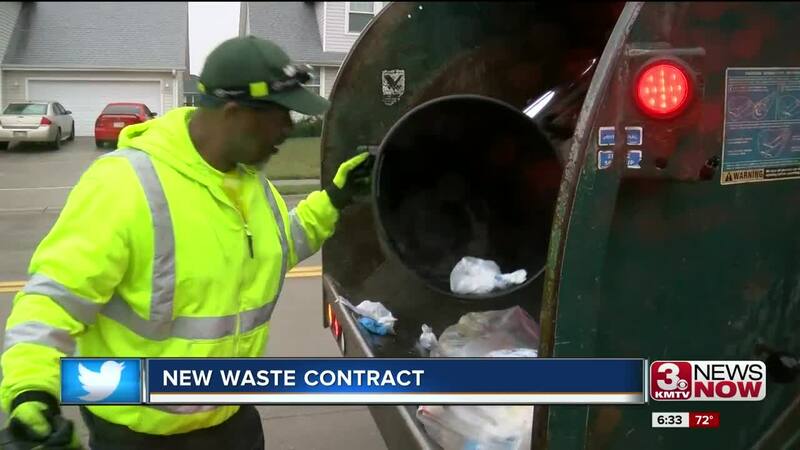 (KMTV) — Mayor Jean Stothert announced her recommendation to switch from Waste Management to FCC Environmental for solid waste pickup. The City Council will vote on the recommendation. The mayor's proposal costs $7 million dollars more than the current waste pickup contract. However Mayor Stothert says citizens won't have to pay a tax increase and the city doesn't have to cut any programs to pay for the new waste pickup company. The city says the new trash pickup system is meant to be more automated and efficient compared to its current structure. "It's different," said Mayor Stothert. "It's different than we ever had. It's a change, it's not easy we recognize that. We felt like we wanted to put together the best RFB that would satisfy the majority. No matter what it is it's going to be new and different and it will take some getting used to and we realize that and we feel with FCC and their worldwide presence and their presence in the country we know we have the capability to do this and we have full confidence that this transition will go as smoothly as it possibly could but no doubt it will take some time getting used to." As part of the city's new waste contract every homeowner will receive two 96-gallon bins. One is for trash commingled with yard waste. The other is for recyclables. Smaller carts will be available for people who do not want or need a 96-gallon bin. The trash will be picked up weekly and the recycling every two weeks. The city's contract with FCC Environmental will run for ten years with two five-year options on the end of the deal meaning the deal could go 20 years. Omaha's current deal with Waste Management ends in 2020.